At Archery Summit, we embrace traditional winemaking techniques as well as Pinot-centric technological innovations, enabling us to craft the very best wine from each vintage. Painstaking efforts, including hand-farming and harvesting, have helped us forge an international reputation for being one of the finest Pinot Noir producers in the world. This year we celebrate over two decades of crafting estate-grown Pinot Noir, showcasing the distinct personality of our vineyards. 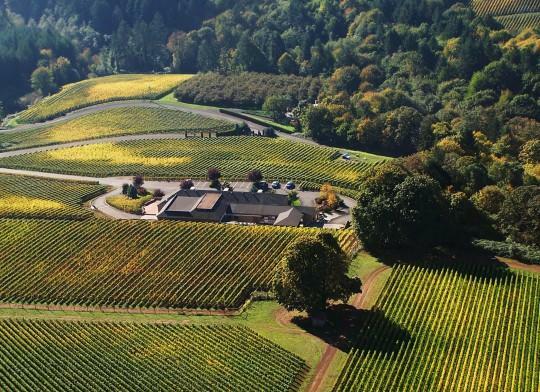 In honor of the occasion, we introduce Archer's Edge, our newest estate vineyard. This unique parcel represents a culmination of expertise derived from two decades of cultivating a connection with our land and an intimate knowledge of its terroir. Wine Advocate 91Reveals a medium ruby-purple color and notes of kirsch, red currant jelly and warm red plums over nuances of Chinese five spice and lavender. Medium-bodied with a nice expression of red berry preserves flavors, it is nicely framed with soft tannins and finishes spicy. Wine Spectator 90"Supple and ripe, this is light in weight but rich in flavor, with a savory edge to the blackberry and plum fruit, finishing with intensity and polish. Drink now through 2018."